Problem: Add a section on deposits and accounts. Result: Having planned to raise 500 million roubles this year, the bank attracted 1.2 billion in three months. 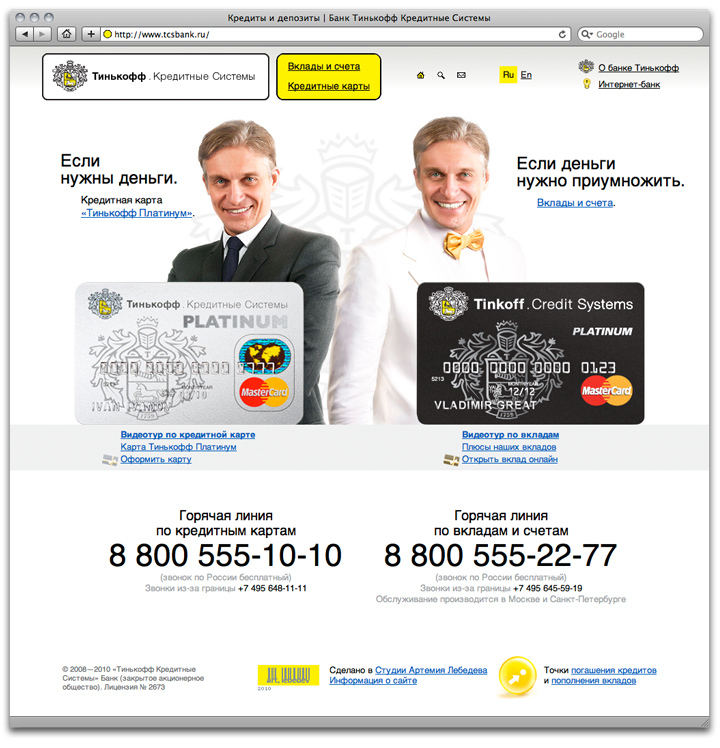 From 2006 until recently Tinkoff Credit Systems only offered loan products. Today the bank accepts deposits and issues debit cards, which is why their website has grown another section called Deposits and Accounts. The new section tells visitors how to open an account and deposit money, what rates are available, how to activate a card, etc. If you’d rather watch and listen, you can play a 9-minute movie and learn details about the offered accounts as told by Oleg Tinkoff. 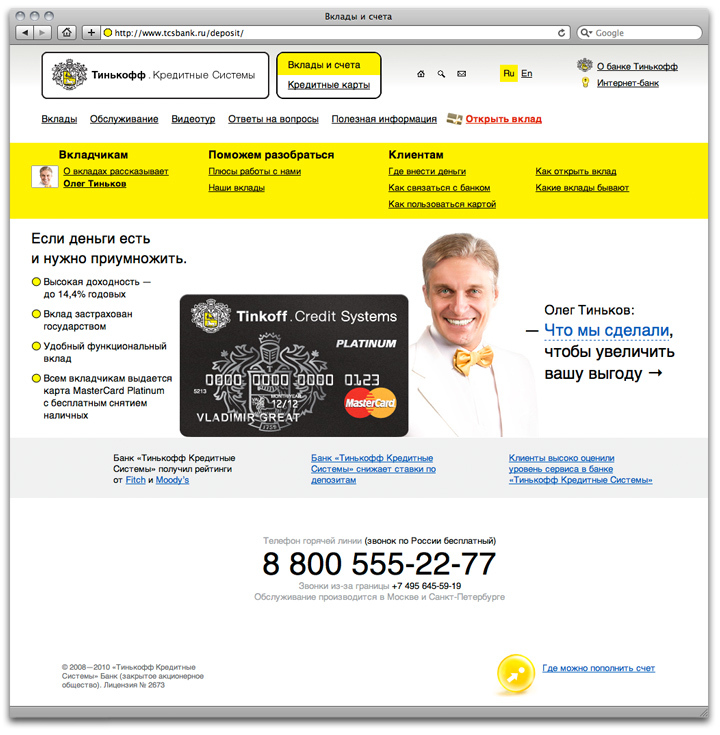 The section provides complete information about Tinkoff cards and deposits.